The latest addition to Lab Series’ MAX LS collection of products delivers anti-ageing power with a fresh, matte finish. Ideal for the man who is prone to shiny skin, this oil-free moisturiser delivers a hydrated, healthy finish without a greasy feeling left on the skin. The patented Lab Series illumatte™ ingredient complex mattifies excess oil and helps control the production of oil over time so skin stays shine-free longer. At the same time, it helps to increase surface skin cell renewal to help smooth texture and brighten tone, invigorating dull, tired-looking skin with a brighter appearance. TheChicGeek says, “‘Hydration without the shine’, is what is promised here, and, because the majority of men have oily skin it’s perfectly reasonable for guys to want to limit the shine while keeping their skin moisturised. Call me a contrarian, but I like to have a healthy glow, without the shine, which is often a fine line to tread before it becomes greasy and you want to starting wiping your polished-looking forehead. This does have a mattifying/powdered effect. The product is light and goes on easily, and you don’t need much of it, plus the Lab Series MAX LS range features all their anti-aging ingredients as a standard, but, as always, I’d like to see an SPF. I consider my skin to be fairly standard when it comes to oil and this isn’t my main cause of breakouts. I find with these mattifying products that they often leaving you feeling a bit grey and flat. I think if your skin is very oily, you’ll probably want to cleanse and reapply this more than once a day, if you can. At £48 for 50ml, this isn’t cheap, because you’re paying for all that anti-aging technology. On a side bar, I do feel like there’s been too many additions to Lab Series’ MAX LS range of products, recently, and it’s started to confuse the product and how each one differs from the others. This one, though, does have a USP if you want to minimise the shine”. There are two products in Unilever’s ‘Regenerate’ range: a toothpaste and a monthly treatment serum. While not new, they are being made more widely available. 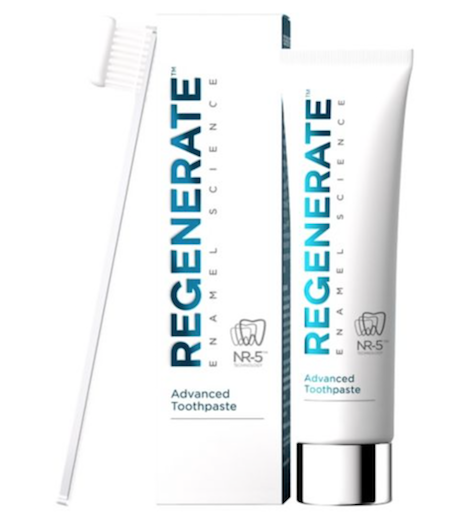 The Regenerate Enamel Science™ Advanced Toothpaste is so effective that scientists had to develop a new water-free formula to prevent NR-5™ ingredients from reacting & unleashing their regenerative power in the tube. This toothpaste is powered by an exclusive and clinically proven NR-5™ technology which forms a fresh supply of enamel mineral. These wrap and integrate onto the teeth and regenerate enamel mineral with exactly the same mineral tooth enamel is made of. The exclusive ‘Boosting Serum’ is a monthly treatment to be used 3 times a month for 3 minutes. It increases the effectiveness of the Advanced Toothpaste by 43%, maximising the power of ‘Enamel Mineral Regeneration’, even in interdental spaces that are hard to reach. Thanks to the NR-5™ technology and the fluoride in its formulation, the Boosting Serum helps provide focused protection for your teeth against the effects of early enamel erosion and acid attacks. TheChicGeek says, “So, it turns out, from visiting the Regenerate dentist, fizzy water and lemon is bad for your teeth enamel. Who knew?! He recommended drinking these, and other fizzy drinks, with a meal rather than sipping for a prolonged period as this is bad for the enamel. This is the only range of products which claim to help renew teeth enamel. On a superficial level, tooth enamel helps to keep your teeth white and from discolouration as it get thinner. The Regenerate toothpaste is pretty standard; it tastes just like a regular toothpaste and has the same texture. It is £10, which is a big premium on the standard price for a toothpaste, but if you compare it to other ‘grooming’ products you can justify it. 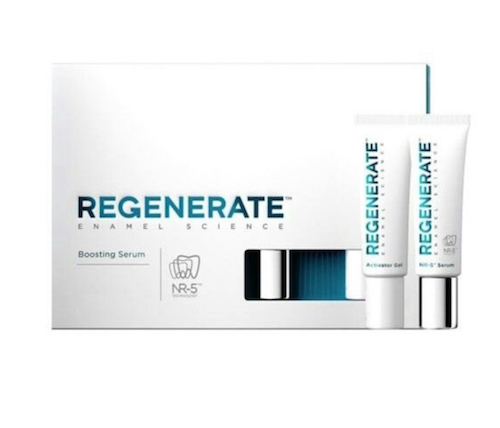 The Regenerate serum comes with two mouth trays and two tubes of product. For three consecutive nights a month, you fill each tray with both products, mix together, it comes with a little mixing instrument, and then put it in the mouth for 3 mins. I’m a completely gagger, so found I could only cope with both trays in by sticking my tongue out. Take your phone with you into the bathroom too, as it’s hard to guess 3 minutes. After, you can rinse the trays and your mouth out. I’m guestimating that these tubes would last about 4 months or 4 treatments. The tubes aren’t very big and I think you need to be fairly generous on the product. With both of these products you have to believe they are working, it’s hard to see any visible difference. I would approach these like anti-aging for the teeth: something longterm to use over a prolonged period. I would also look at avoiding certain foods and drinks and habits that also damage the tooth enamel”. If you haven’t heard of American grooming brand, Malin+Goetz, before, where have you been? I remember first seeing their products when I started TheChicGeek. That was over 7 years ago and, now, they are opening two stores in London simultaneously: one on Upper Street in Islington and the other on Covent Garden’s Monmouth Street. The brand was founded by Matthew Malin and Andrew Goetz 12 years ago in New York’s Chelsea neighbourhood. Over the years, their award winning formulations and iconic packaging have expanded along with their growing portfolio of stores in New York and Los Angeles. 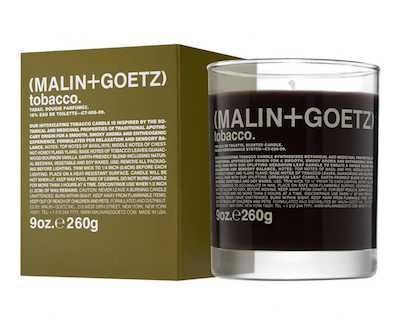 Malin+Goetz products have become synonymous with healthy skin. Every product has been formulated with trusted natural ingredients along with performance focused tech- nologies to deliver exceptional results in the most gentle way – even for the most sensitive skin. Now, Malin+Goetz open their first London flagships (as well as their first UK e-commerce site www.malinandgoetz.co.uk). Each London shop has its own distinct architectural design. 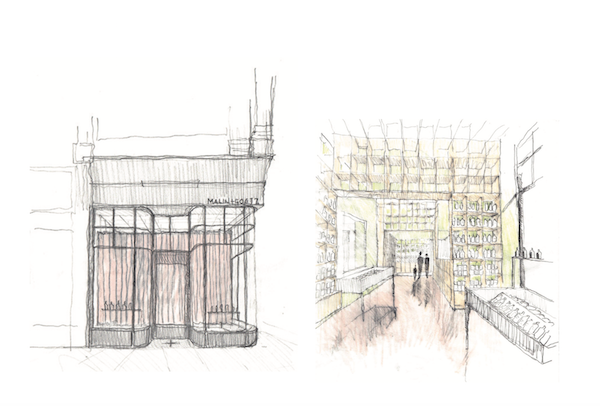 The local firm, Jonathan Tuckey Design has produced two concepts. Islington is in a late Victorian building and features a dynamic shelving grid fabricated from cedar plywood that undulates from horizontal shelving to covering ceiling. A new shop front incorporates a period curved glass entryway, and a stunning green fascia and shop front and also includes an antique apothecary counter from the late 19th Century. The Monmouth Street’s shop front is imagined as a large scale retail television. Almost becoming a kinetic diorama from the street, you enter the shop from a velvet lined tunnel to discover an elegant dashed shelving system of compressed dark paper supported by dowels on a birch plywood wall. The ceiling is fabricated from seamless reflective material that continues to enhance the concept of retail theatre. Look out for the Malin+Goetz stencils appearing on a street near you. 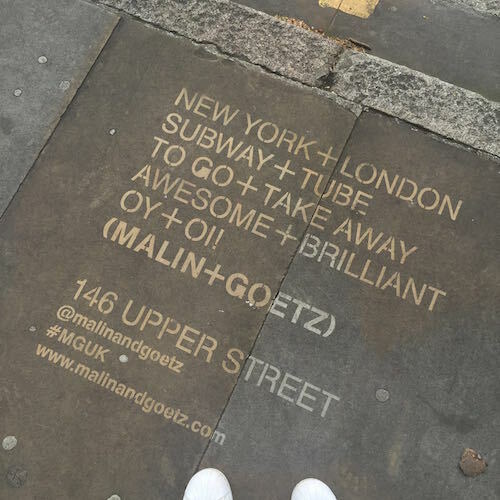 If you spot one, take a picture and post it to Instagram using the hashtag #MGUK and tagging @malinandgoetz and you may be chosen to go in store and collect an exclusive Malin+Goetz prize. Good luck! This brand new formulation delivers high performance and long-lasting SPF 50 UVB and 5* UVA broad-spectrum in a sun block that works to defend skin from premature ageing due to sun exposure. It utilises cutting-edge micro encapsulation technology which quickly forms a breathable, ultra safe protective shield on the skin - think Gortex for the skin! - to ensure uniform coverage in a water resistant, non-whitening, non-greasy serum that gives hassle-free, safe invisible protection. It also contains vitamin E which helps shield DNA from the damaging effects of free radicals, protecting against unsightly dark spots and wrinkles. Hyaluronic acid to continuously hydrate and kees skin supple whilst the OXY- FIT-10, FIT’s unique oxygen delivery system, fuels skin cell regeneration. 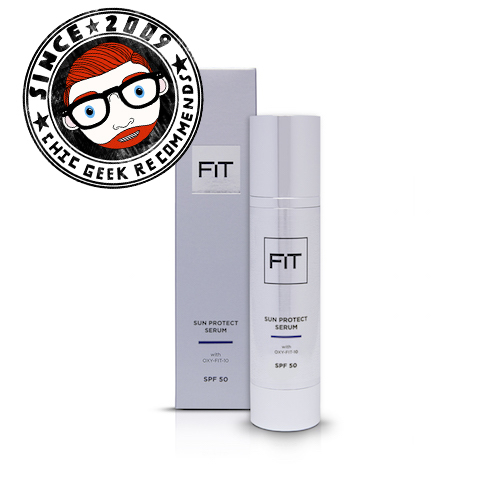 FIT’s new manufacturing method ‘high energy homogenisation’ means particle sizes are reduced and the ingredients are dispersed evenly throughout the product, resulting in an even distribution on the skin. TheChicGeek says, “This says it’s ‘the first and only sunscreen serum created exclusively for men’, and about time too! The majority, 90 per cent, of your skin’s visible ageing comes from the sun and sun exposure. The easiest and more effective way to protect yourself is, to either not go in the sun, boring or unavoidable, or apply a high-factor sun protection. So, think of a product like this as an anti-ageing product and one you should use all year around. This is one of the best high-factor face products I’ve tried. It’s really light, has a nice zesty/lemony scent, and you don’t notice you’re wearing anything, which, I think, is down to the micro-encapsulation technology. Philips OneBlade can trim, edge and shave any length of facial hair with ease. With men shaving fewer than three times per week, and only 9% of men 18-24 shaving every day, the Philips OneBlade has been specially designed to suit the modern man’s needs. Men no longer want ‘baby smooth’ skin and a clean shave, but rather are looking to shape and tweak their longer facial hair with one, easy-to-use tool. The Philips OneBlade is neither a shaver nor a trimmer, and it can be used both wet and dry. Philips OneBlade combines rotary shaving technology with the benefits of a trimmer in one simple tool, and features a hybrid razor with a replaceable head. The product is perfect for both shaving and facial hair edging, and also comes with 4 clip-on combs (1mm, 2mm, 3mm, and 5mm) that transform the product into a trimming device. OneBlade’s innovative cutting mechanism moves 200 times per second, and its glide strip and skin-friendly polymer shield mean that it doesn’t shave too close and never clogs or pulls. TheChicGeek says, “What I like about this, apart from the design, is the size. This is perfect for the detail required on your face. The scale of the gadget is designed for a man’s face rather than his hands. Many trimmers are way too big and you are often blind to what you are doing. And, even though an added cost, I like the logic of replacing the heads. It comes with 2 blades in the box, which it says lasts up to 8 months. So, that’s 3 blades a year, if you use this intensively. Each refill head is £11.99 or £19.99 for 2. Aimed at younger guys - it’s reflected in the price - it does come with tool heads to vary the length of the hair. But as usual, as with all these trimmers, they are really plasticky and take away an element of control. It gives you a decent cut on the sides of the face. Where it does struggle though, is the chin, as it has limited flexibility on what is quite a big blade head and can’t really follow the contours of the face. I tried to trim my moustache. I just wanted a simple, straight line above the top lip, and its limited strength and thus control on longer, coarser hairs made it not as neat as I would like. TheChicGeek says, “How unruly are your brows?! 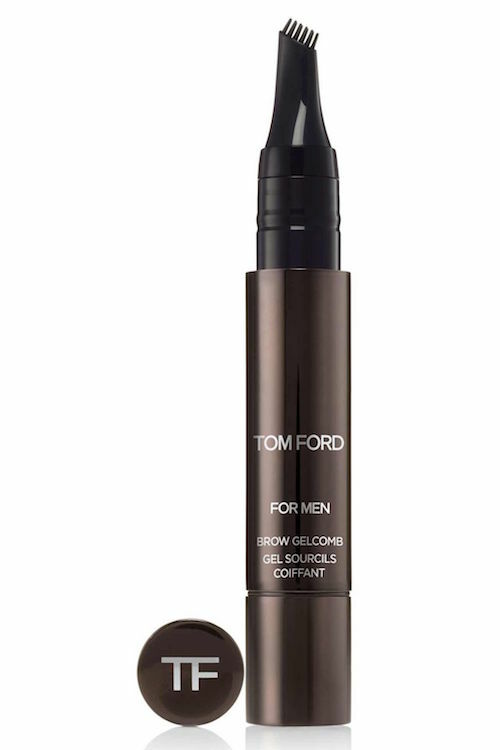 Trust Tom Ford to come up with a new product category for men’s grooming. The eyebrows are, clearly, now, a thing, well, if you subscribe to the Tom Ford school of grooming, it is. He’s launched a few new products as well - Shave Oil and Exfoliating Energy Scrub - but the most interesting and novel is the ‘Brow Gelcomb’. “Simply twist the bottom and out comes a dark grey gel on to the comb part of the wand. I was worried - I have ginger brows - that the colour would darken them, but this wasn’t the case and they quickly dried without being sticky or noticeable. According the blurb, it is 'designed to groom and refine while giving balance and symmetry to a man’s most masculine facial features'. This is for the man who has everything, so, again, that’ll be Tom Ford. 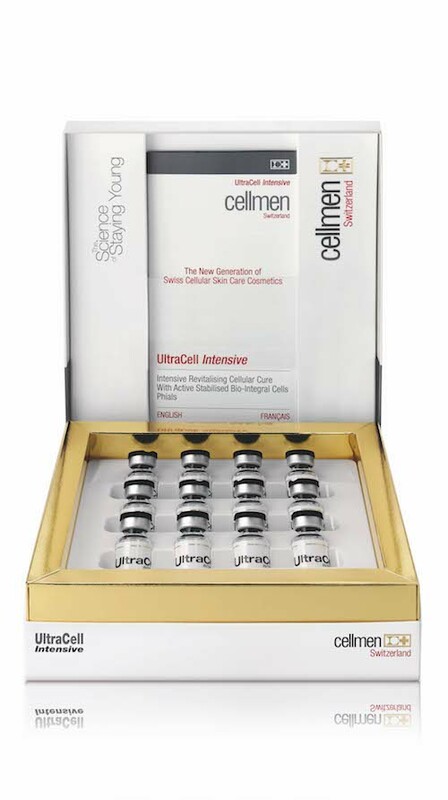 Swiss grooming brand, Cellmen, is the only cellular skincare brand specifically designed for men’s skin. The 'UltraCell Intensive' is a 12 day intensive treatment which works to re-energise the skin using active stabilised bio-integral cells that work in harmony with our own skin cells. As a result, skin is left detoxified, lifted, refined, revitalised and firmed. It is recommended as an intensive skin treatment 2 to 3 times a year. TheChicGeek says, "Firstly, this is one of the most expensive products I’ve ever tried. £335 for 12 days!! The packaging certainly reflected this, with 12 individual glass phials all securely sealed with a pipette to apply. After the second day, I had to send an e-mail to the PR to ask if I’d actually been sent the proper product and not a dummy filled with water. The product has no smell and the consistency of water, which made me wonder whether it was simply water?? When you’re pipetting the product onto your face and watching it run down your chin, it's difficult not to think somebody is playing a trick on you. The kind PR offered to send a sample she had on her desk, which, when it arrived, was exactly the same. I carried on using each phial, fully, for the full 12 days, barely able to look at myself in the mirror! I’m not really sure what to think. There was no difference to anything, other than I felt I’d washed my face twice before bed. Could this be the Vetements of grooming products?!"